Cetilar Villorba Corse worked all through the night on the Dallara LMP2 number 47, gone off the track during the second qualifying session of the Le Mans 24 Hours. The entire Italian team coordinated by Raimondo Amadio reacted immediately, and the gola was straightaway to bring the prototype to the start of the race and allow Roberto Lacorte, Giorgio Sernagiotto and Felipe Nasr to star in the most famous endurance race. Despite the inconvenience which deprived the team of the third qualifying session, Cetilar Villorba Corse will set off with the first Dallara on the starting grid. If the whole team set off in a non-stop work on the prototype, there was also immediate extraordinary support from Dallara, which in addition to the direct support of its technicians has scheduled for this morning the arrival of all the necessary spare parts. A joint work which continues with the determination, the expertise and the will of all the members of the Italian association, under the ideal push of the many fans, partners and opponents who make their admiration for Cetilar Villorba Corse felt in any way. -"It is a fight against time which we are living with an intense but serene rhythm, favoured by the cohesion of a team which once again proved ready to react even to a situation never previously experienced - explained Team principal Raimondo Amadio - this morning the work was completed on the front of the car, while the afternoon is dedicated to the rear axle, transmission and the details of the chassis. 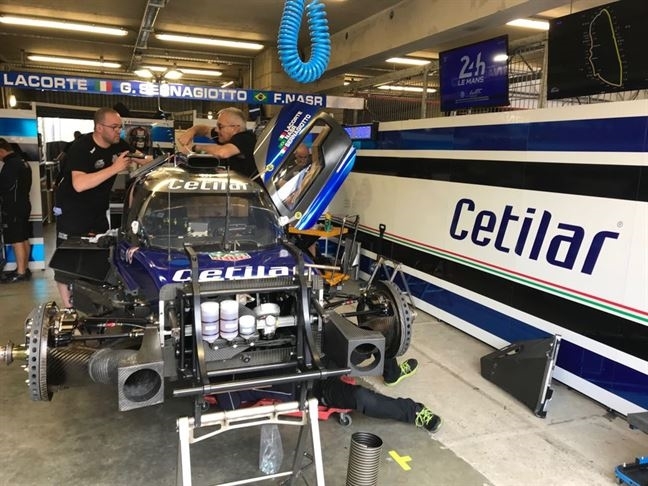 Cetilar Villorba Corse does not give up and keeps pushing, inside box n. 9 of Le Mans it is possible to breathe the will towards our goal of the start of the 24 Hours "-. 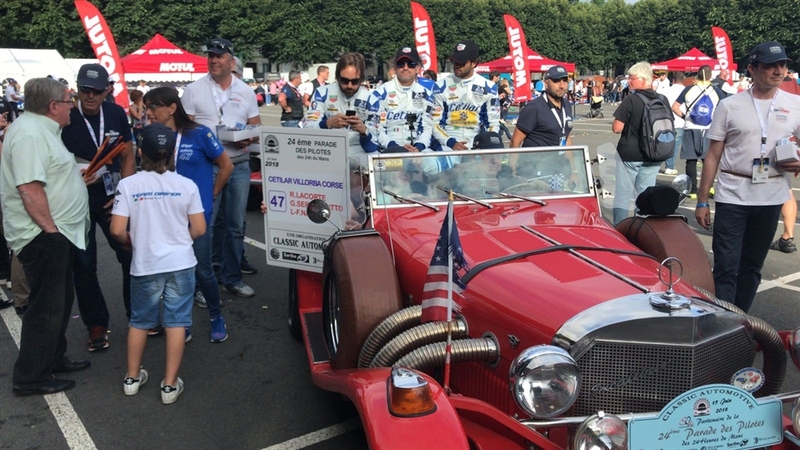 As scheduled today the parade of the crews in the centre of Le Mans, which was attended by Pisa-born Roberto Lacorte, the driver from Treviso Giorgio Sernagiotto and the Brazilian former F1 Felipe Nasr, between two wings of a crowd which greets the stars of the world's most selective 24-Hour race.